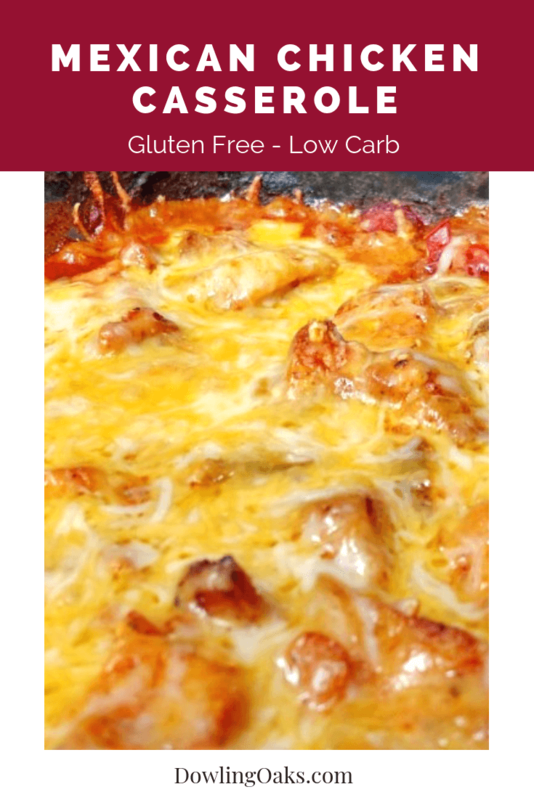 Gluten free Mexican chicken casserole that’s low carb, too. This quick and simple GF casserole is a one dish meal that will become your family’s favorite Tex Mex dish. The perfect weeknight meal when you have to get dinner on the table in a hurry. I have loved Mexican food practically my whole life. My mom really didn’t do a whole lot of Mexican cooking,(aside from tacos here or there) so any Mexican I got came from Aunt Myrtle. Her specialty was chicken enchilada casserole. OMG, when we went to visit and it was in the oven, you knew it was going to be a great night. When I got older, she gave me her recipe. Since I found out I was gluten intolerant, I have to say it’s one of the recipes I miss the most. Right after I went gluten free, I didn’t know I could eat corn tortillas. 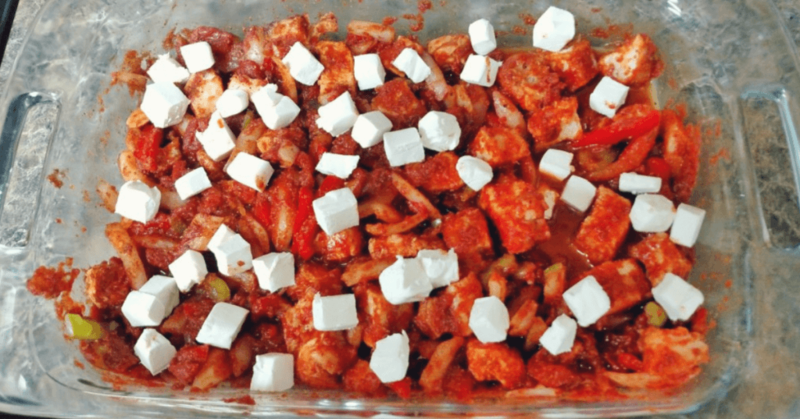 I was trying to watch carbs at the time, too, so instead, I came up with this gluten free Mexican chicken casserole so I could have my Mexican fix. No, it’s not the same as Aunt Myrtle’s enchilada casserole. Not even close. But this quick and easy casserole is amazingly delicious all on its own. Back before I was gluten free, it was a cinch to throw a last minute dinner together. Add some meat, some potatoes, a powdered gravy mix, and a can of creamy condensed soup together and you could have a really great tasting dinner in no time flat. Gluten free low carb cooking can be very time consuming because you can’t add prepackaged ingredients that add flavor and cut the cook time. And while I love taking the time to cook a healthy gluten free dinner, when I’m working late it’s just not an option. 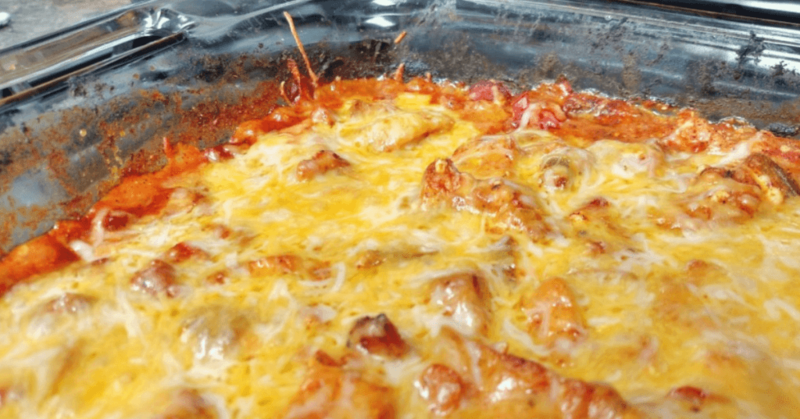 I’ve made it my mission to come up with quick gluten free dinners to keep in my back pocket for times like that, especially recipes like this low carb wheat free Mexican chicken casserole. But you’ve got to get creative to make a casserole gluten free, low carb, and tasty. Tortillas and beans were out. To save time, I used frozen cooked cubed chicken breast and frozen fajita peppers and onions mix. If you want to make yours from absolute scratch, cube two cups of leftover chicken breast and use one cup sliced onions and one cup sliced peppers. Try this with beef instead! Tastes just like tacos with a little crunch. To make the beef version, brown 1 pound hamburger and use in place of the 2 cups chicken. 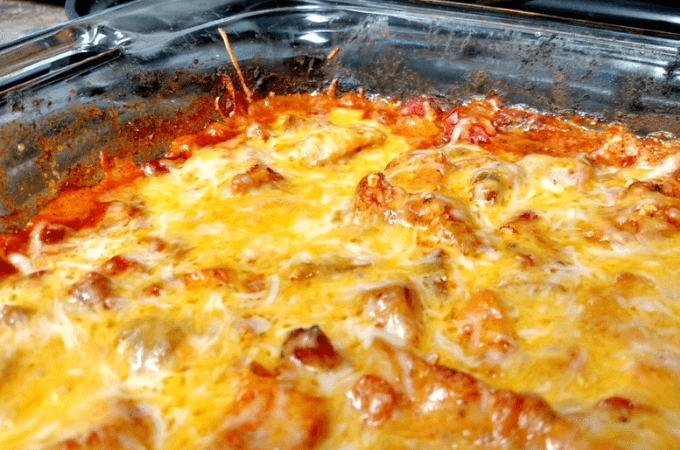 This quick and simple gluten free Mexican Chicken casserole is a one dish meal that's low carb, too. The perfect quick gluten free weeknight dinner. Grease a 9x13 casserole dish. 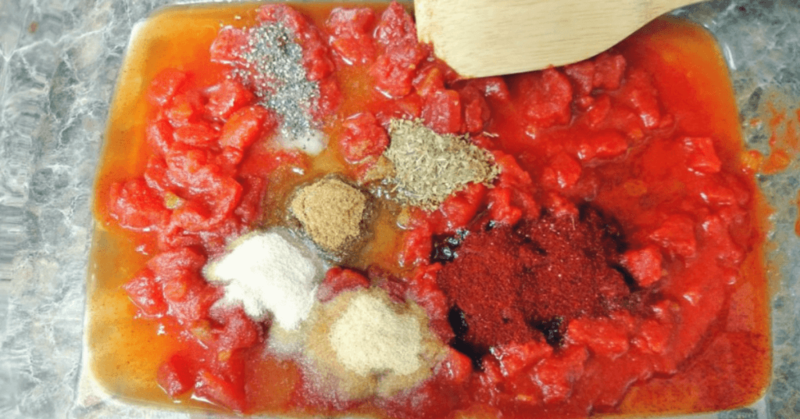 Empty the can of tomatoes into the dish and then add the oil, water, and spices and mix well. Next, add the chicken and vegetables and stir to coat. Dot the cream cheese cubes across the top. Remove from oven and stir, blending in the cream cheese. Add shredded cheese and return to stove. Cook for 10 more minutes. Remove from oven and let cool 10 minutes before serving. Preheat the oven to 400F. Lightly grease a 9×13 Pyrex casserole dish. Pour in one 15 ounce can of diced tomatoes and green chilies. Add 2 tbsp melted organic coconut oil, 2 tsp organic chili powder, 2 tsp organic cumin, 1 tsp organic garlic powder, 1 tsp organic onion powder, 1/2 tsp organic dried oregano, 1/4 tsp salt and pepper and mix well. Add two cups cubed cooked chicken and two cups peppers and onions. Add 1/2 cup of water and mix well. Cut an 8 ounce block of cream cheese into 1/4 inch cubes and dot across the top of the casserole. Bake for 20 minutes. Remove from oven and stir in the cream cheese until melted and blended in. Add two cups shredded cheese and return to the oven. Bake for 10 more minutes. Remove from oven and let stand 10 minutes before serving. I'm glad you stopped by for a visit. Cooking is something I've loved ever since I can remember...No, seriously!